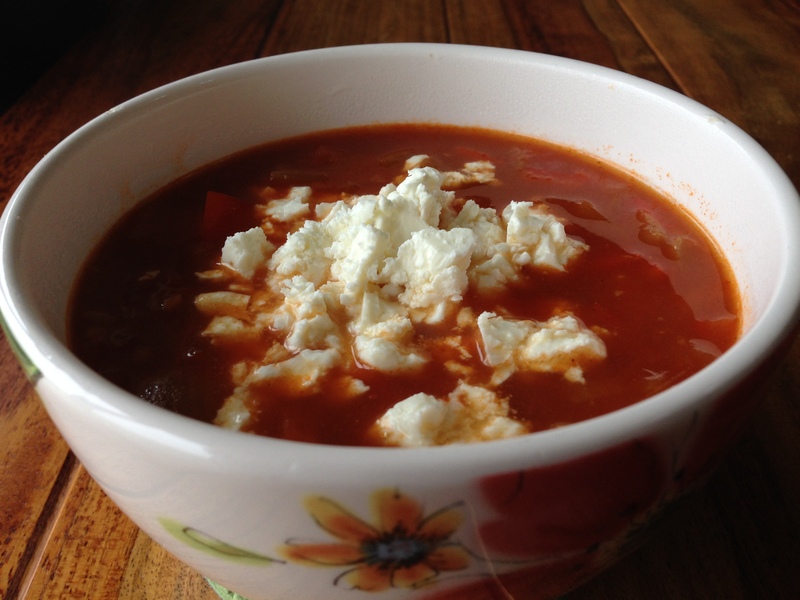 I make this soup quite a lot – it’s spicy and warming and perfect for this time of year. It’s also very simple to make and quite healthy so I tend to cook this for my weekday lunch and it’s chunky texture needs no bread to mop it up. 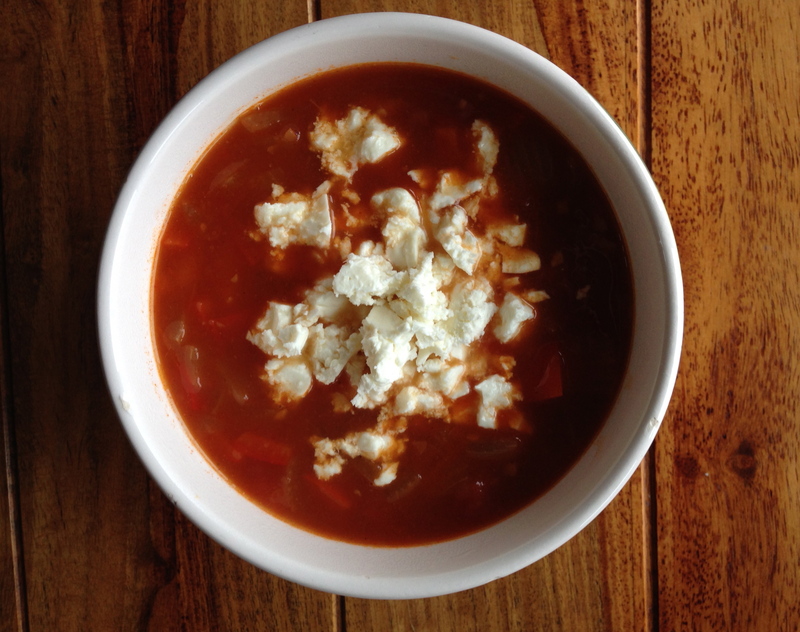 I do tend to make this quite spicy and the addition of lovely creamy Feta is a match made in heaven for me. One thing I tend to find myself adding more and more to different dishes these days is a little bit of vinegar of some sort or another, which really seems to enhance the flavour of curries, soups and stews and here cider vinegar really adds a nice tang and subtle sweetness to the flavour of the chilli. This is also probably the only soup that I don’t add salt or pepper to! But feel free to add if you want. 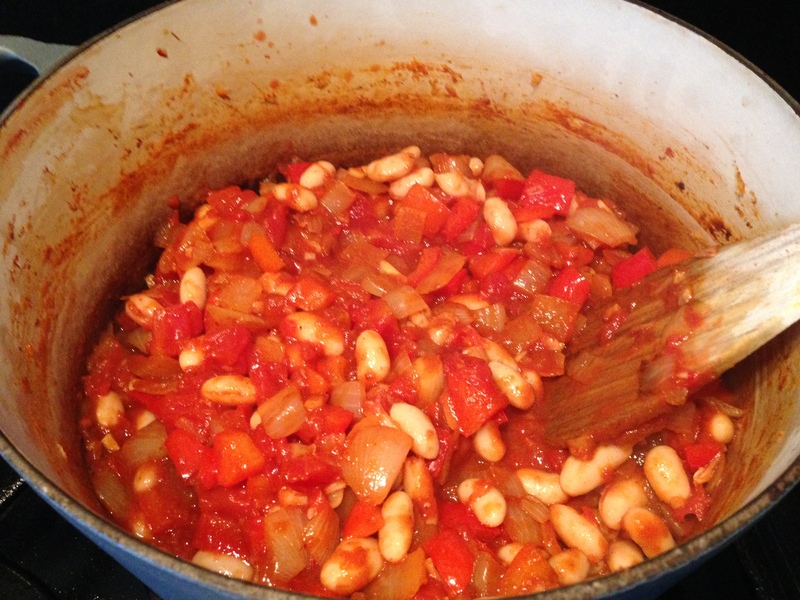 In a large pot on medium heat sweat the onions in the olive oil for 5 minutes and then add in the diced red pepper, turn the heat to low and cook for around 10 minutes until slightly softened but not coloured. Stir regularly to avoid catching. Then add in the garlic and cook for a further minute before adding the tomato puree, cumin, paprika, chilli powder and stir well. Cook for a few minutes then add the cider vinegar and chicken stock. Bring to the boil and then turn the heat down and allow to simmer for around 40 minutes, stirring occasionally, until it has reduced slightly and thickened a little. Serve with the crumbled Feta.